Denver has been one of the country’s fastest-growing big cities in recent years. It’s easy to see why. 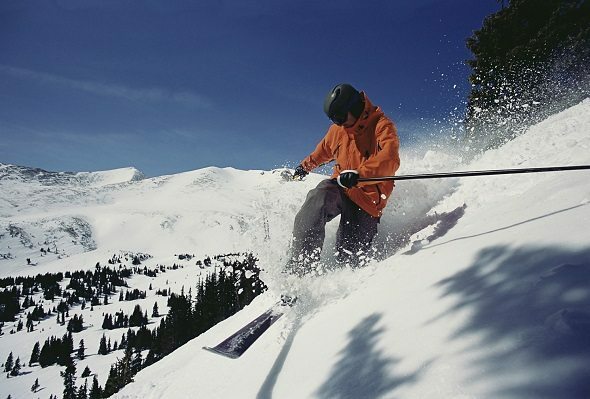 Located along the Rocky Mountain Front Range, the Mile High City is surrounded by beautiful scenery and has direct access to some of the best skiing and mountain climbing in the world. It is the engine of a booming regional economy, with strong job and income growth in recent years. Plus, it’s home to the 2016 Super Bowl champions. 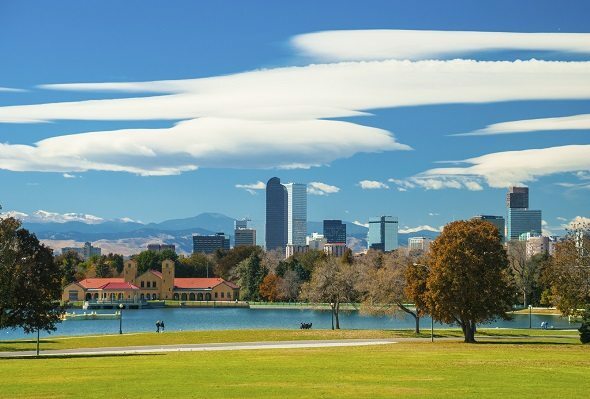 Here are a few things to consider if you’re thinking about moving to Denver. Want to buy a home in Denver? Compare mortgage rates here. Among major U.S. cities, Denver’s cost of living is somewhere near the middle of the pack. It’s not nearly as expensive as Los Angeles or Boston (not to mention San Francisco or New York) but it isn’t as cheap as the big cities in Texas. That being said, housing costs have been rising rapidly in recent years, so this could be changing. 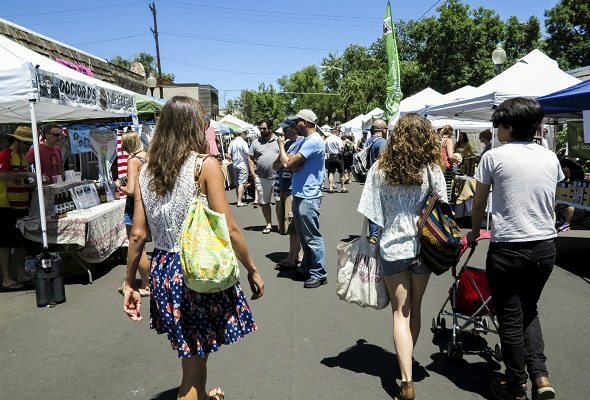 Read our full breakdown of Denver’s cost of living here. Denver’s different neighbors all have their own vibe and personality. Cap Hill is eclectic and lively. Uptown is filled with young people and drinking establishments. Country Club is upscale and expensive. If you can explore a little bit before signing a lease (or buying a home) it will be worth your while to find a neighborhood you can fall in love with. The state income tax rate in Colorado is 4.63%, which places it close to the middle of the pack for U.S. states. Sales taxes are a little bit above average while property taxes are quite low. Use our Colorado tax calculator to see what your income tax bill will be in Denver. Denver gets 300 days of sunshine a year. Though the city gets over 50 inches of snow a year, this often falls in big storms and rarely sticks around long. Springtime in Denver is beautiful. Summers are hot but not humid. Really, if there’s any complaint about Denver’s weather it’s that it is too nice. Those drizzly Saturdays or Sundays that give you an excuse to wear your pajamas all day are few and far between. The other thing to keep in mind about Denver weather is it can change on a dime. One day can be snowy and the next can have highs in the 70s. Because of the altitude, temperatures can rise or fall by 40 degrees in a number of hours. Because of the high altitude, the sun is a lot more powerful in Denver than it may seem. You can easily get a sunburn walking around outside for an hour or two. Over time, the strong UV rays also increase the chance of skin cancer, so make sure to screen up before heading out for the day. Everyone knowns about Rocky Mountain National Park, but you don’t have to leave city limits to find a great green space in Denver. The city has a ton of lovely parks. Washington Park (or Wash Park) is a favorite with locals because of its trails, its flora and its two ponds. City Park is the largest park in the Denver at 330 acres. Confluence Park, which sits along the river, is great for a picnic. Those are the most well-known parks in Denver, but there are lots of smaller neighborhood parks as well. In fact, within city limits the Denver park system has over 200 separate parks. With all the sunshine the city receives, you won’t be lacking for opportunities to get out and enjoy them. Current out current mortgage rates in Colorado. If you’re moving to Denver, you can leave most of the formal attire behind. The t-shirt & blue jeans look is pretty standard. You may see some bumper stickers on cars in the Denver area that suggest, in one way or another, that locals don’t appreciate all the newcomers in town. This is not the prevailing opinion. Most Denverites are quite welcoming and friendly to newcomers. In fact, given that the city’s population has increased by 200,000 since 1990, many of your neighbors may be relatively recent arrivals themselves. Good news for the single ladies, bad news for the single fellas. Its tech workforce is particularly skewed toward men. Denver is just 75 miles from some of the best ski areas in America. If you plan on being a “weekend warrior,” however, expect to face some severe traffic getting to the mountains. It’s not unusual to sit in ski traffic for several hours on a Friday evening or Saturday morning in the winter. On the other hand, if you’re schedule is flexible or you can take a few weekdays off, getting to the slopes should be a breeze. Just 7% of commuters in Denver use public transit to get to work, but that number is growing. In 2016, several new light rail lines are opening, including one that goes to Denver International Airport. Light rail most serves to connect the suburbs to the city. Within the city, the bus system is adequate for getting between most systems. There’s a free bus that runs up and down the 16th Street Mall in downtown Denver. The air really is thinner in Denver. It will take a few days for your body to adjust to the lower levels of oxygen, but even after you’ve been in Denver for a few months or years you may notice the effects of altitude when you’re climbing a staircase or going for a run. Likewise, alcohol will have a greater effect on your body. You’ll also have to cook your pasta for a little extra time as water has a lower boiling point at higher altitudes. Denver is a great city for biking. As mentioned above, it’s almost always sunny so a bike can serve as a pretty reliable means of transportation throughout the year. The city also has lots of bike trails. A favorite is the Cherry Creek Bike Path, which stretches from downtown Denver through Cherry Creek State Park, covering more than 24 miles. Plus, parking can be hard to find in Denver so it’s often easier (and cheaper) to hop on your bike than to drive. Between the high altitude, the constant sunshine and the typically dry air, it is very easy to get dehydrated in Denver. Whether you’re heading to the park or going for a long bike ride, remember to bring a bottle of water. Colorado was the first state to legalize recreational marijuana. For the most part people in Denver are pretty relaxed about this state of affairs. Now that you’ve decided to move to Denver, one tip you may consider is funding your move with a 0% APR credit card. This will allow you to defer the cost of your move for 12, 15 or even up to 21 months. (Just be sure to budget to pay off the expenses before the offer is over to avoid additional fees and interest.) You can check out the best 0% APR cards here. This might also be a good time to talk to a financial advisor. A financial advisor can help you navigate big life changes like a move to a new state, or just help you to meet your financial goals in general. SmartAsset’s financial advisor matching tool can help you find a person to work with to meet your needs. First you’ll answer a series of questions about your situation and your goals. Then the program will narrow down your options to up to three financial advisors who suit your needs. You can then read their profiles to learn more about them, interview them on the phone or in person and choose who to work with in the future. This allows you to find a good fit while the program does much of the hard work for you.